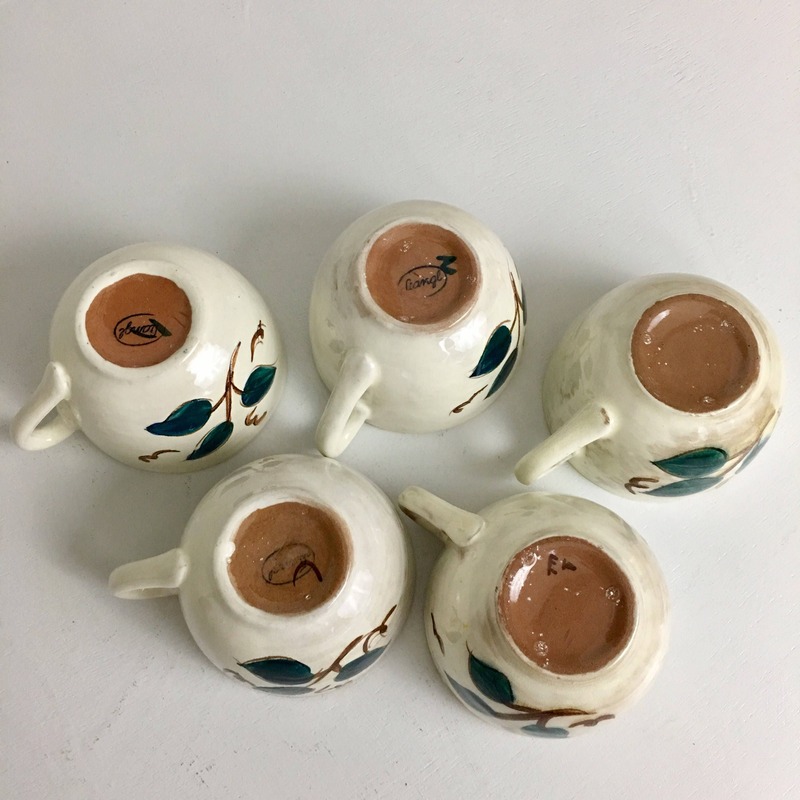 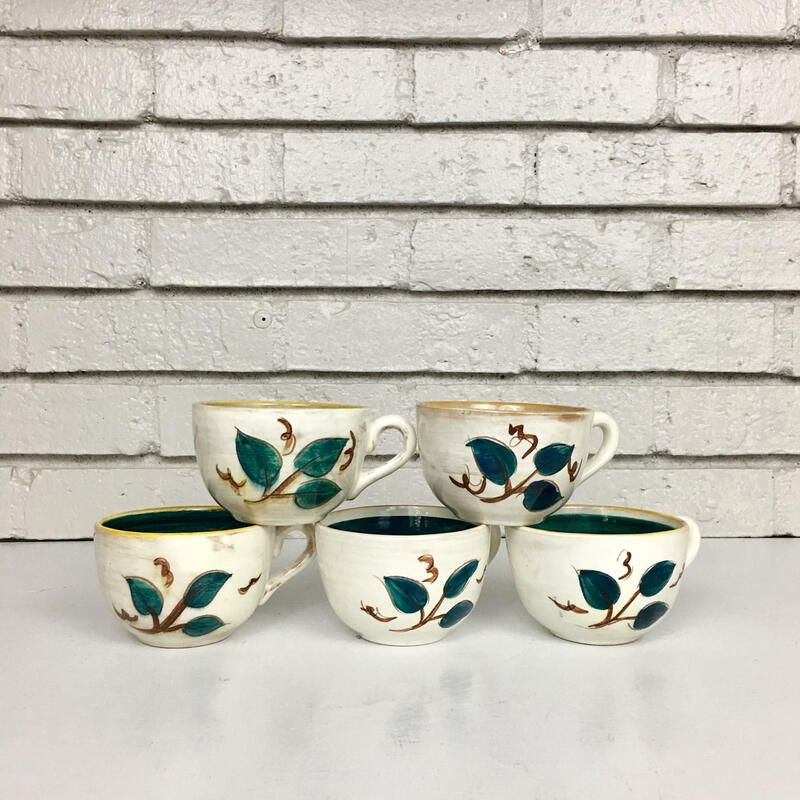 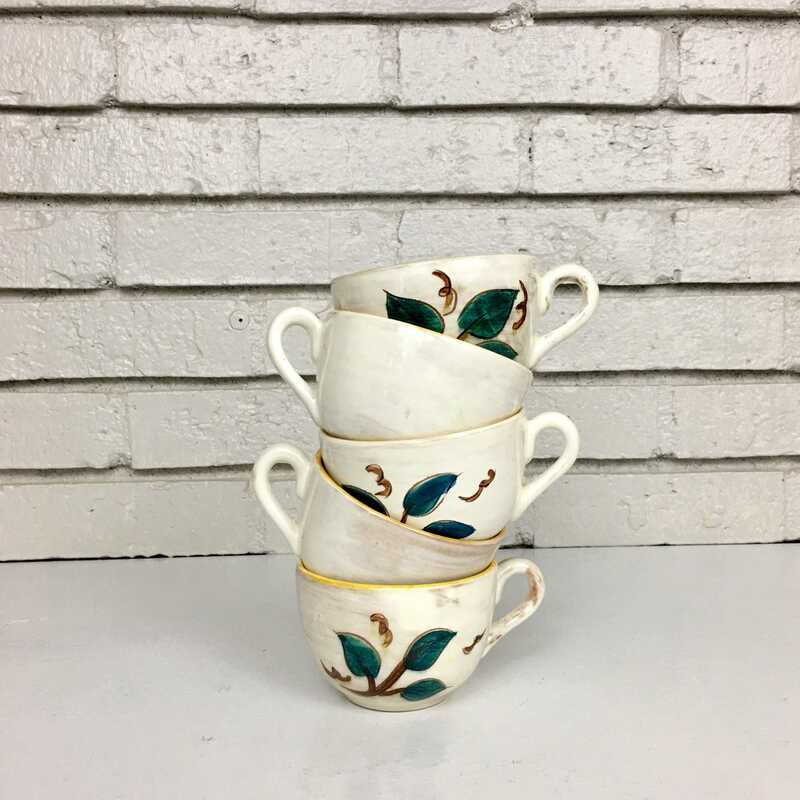 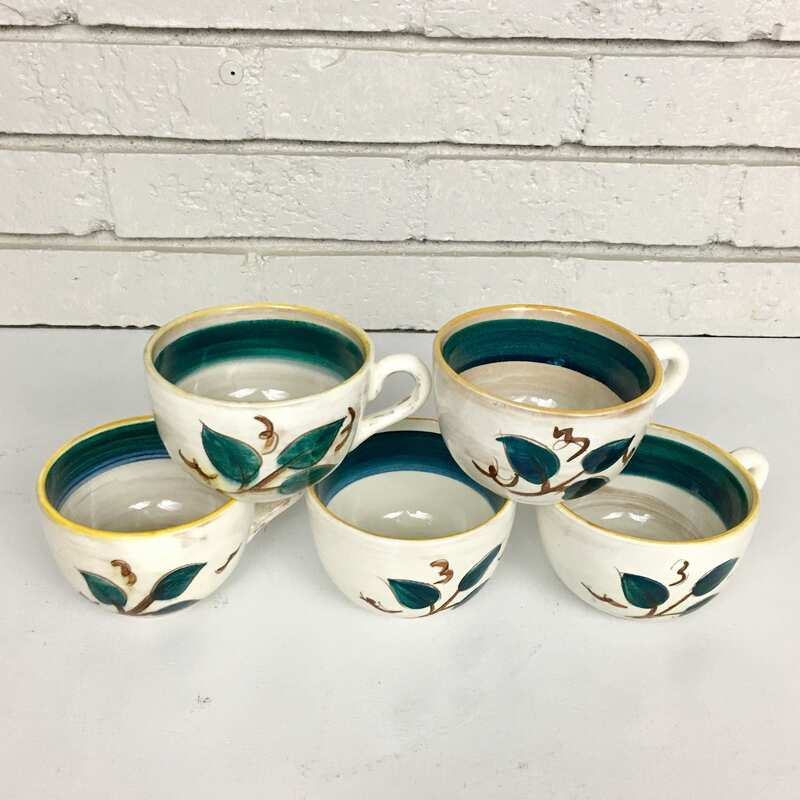 Vintage set of 5 Terra Rose Fruit (Brown Rim) teacups – featuring yellow, cream, teal, blue and brown glazed over terracotta pottery and a super cute scalloped pattern. 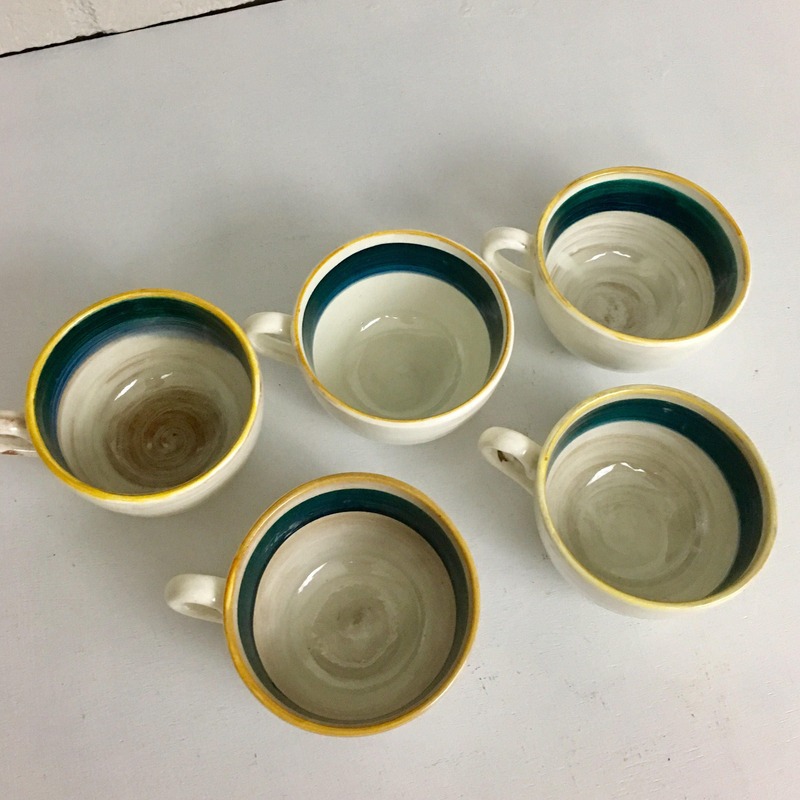 The teacups have different markings but all stamped Stangl Pottery. 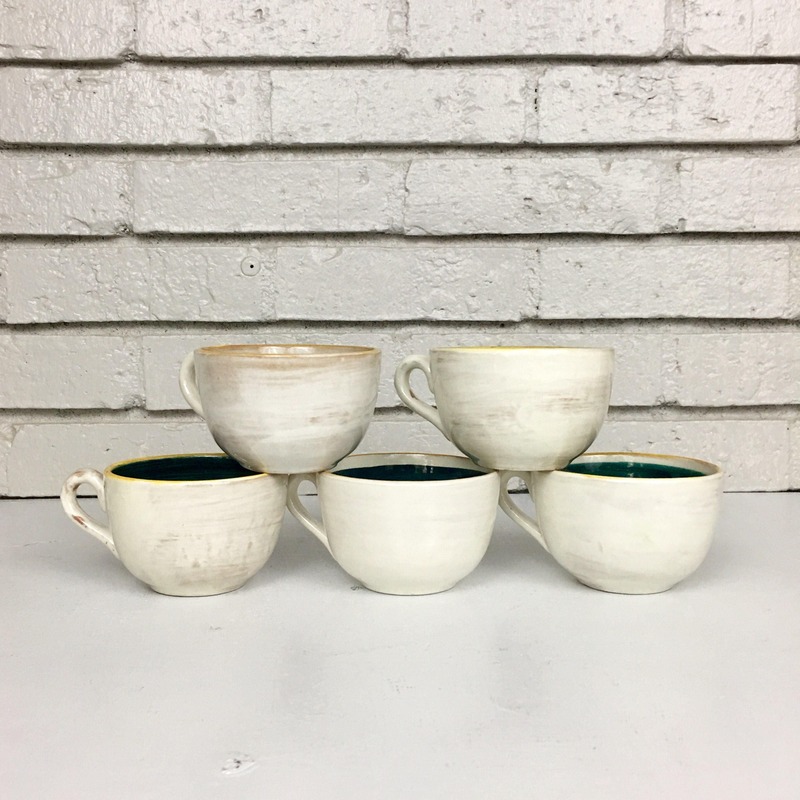 + Each cup weighs 6.3 oz.